Soft sheer horizontal shades at Houston Blinds For Less represent innovation at its best. These sheer shades work like horizontal blinds but have the softness of a shade. If you’re looking for sheer horizontal blinds, these shades are perfect. The sheer fabric of this window covering filters light as much or as little as you desire and closes just as sheer window blinds would. You can tilt the fabric-covered vanes to allow filtered light into the room, leaving the layer of sheer fabric covering your window, or raise the shade fully for an unobstructed view. Soft sheer horizontal shades also provide moderate energy efficiency, helping to keep your home cooler in the summer and warmer in the winter. Offering performance and beauty, soft sheer horizontal shades at Houston Blinds For Less are available in 2-inch and 3-inch slats. 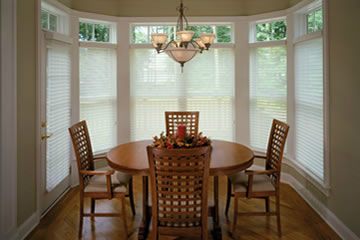 We offer soft sheer light filtering as well as soft sheer blackout window shades. Soft sheer light filtering window shades are an idea horizontal shade if you want to allow some light to filter into a room. 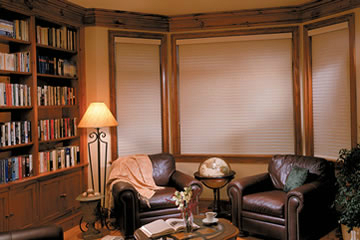 With soft sheer blackout window shades, you darken your room even more and gain full privacy. Whether you want to buy soft sheer horizontal shades in Pearland, West Houston, The Woodlands or League City, Houston Blinds For Less is your source. Call (281) 997-2100 or contact us for a FREE consultation and we’ll bring our showroom to you. You can see the types of horizontal shades available and feel swatches without ever leaving your Houston area home or office. We’ll also measure your windows and place your order, ensuring you receive the right size window shades.